Started by IIT Kharagpur Alumni, Data Resolve Technologies is an emerging player in the area of Cyber Security and Cyber Intelligence. It helps businesses secure their data from theft & loss along with business risk mitigation through security analytics of their award winning product – inDefend Business. Data Resolve has thousands of footprints in their customers’ network in dozens of countries and is highly recommended for all enterprises to assess their business risks through Cyber Intelligence and achieve global standards of data security. The company has won several accolades and prizes including an accolade of excellence in Technology by Zee Business and Top 10 product startups from India in Pluggedin, Bangalore. “The Game Changers” – A national best seller published by Random House Publishing have covered the story of Data Resolve under top 20 extraordinary success stories from Indian Institute of Technology, Kharagpur. 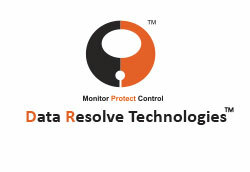 The core idea behind Data Resolve’s technology is to generate actionable cyber intelligence reports by monitoring the exit routes of information from a computer like USB ports, CD-DVD drives, emails, chat clients etc and minimize the loss and theft of critical business data through customized access policies.